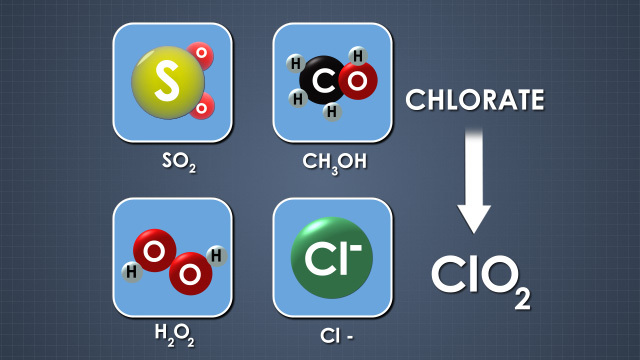 Chlorine dioxide can be generated with one of four reducing agents. Methanol is used most often today. Temperature and Pressure are continuously monitored in the generator to prevent dangerous conditions that can lead to a puff. Chlorine dioxide gas is unstable, and it will cause a puff, or explosion, if safe storage conditions are not maintained. Chlorine dioxide is an excellent bleaching chemical because it is very selective for lignin. Because of this, its use has expanded greatly over the last few decades. 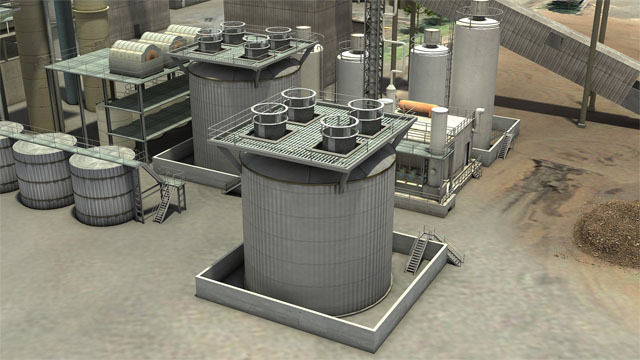 This course discusses how chlorine dioxide is generated at a pulp mill along with the different processes that utilize chlorine dioxide at a pulp mill. Why is chlorine dioxide generated on-site? Chlorine dioxide gas is very unstable, so it cannot be transported in high concentrations. It is stored at about 1% on-site. How is chlorine dioxide gas created? 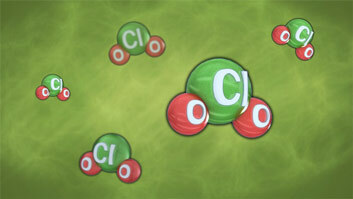 Chlorine dioxide gas is created by the reduction of sodium chlorate in a strong acid solution. 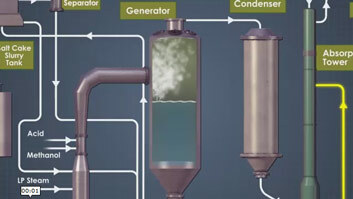 What is the main chlorine dioxide generation process in use today? The two main processes are called R8 and SVP-LITE. They both operate under vacuum conditions and use methanol as a reducing agent. 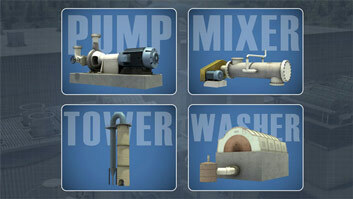 What are the main pieces of equipment for chlorine dioxide generation? 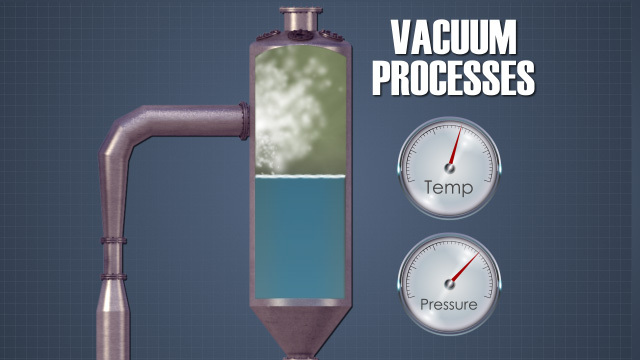 There are several pieces of equipment in the R8/SVP-LITE process: a circulation pump, generator, reboiler, salt cake filter, condenser, absorption tower, and a vent gas scrubber. 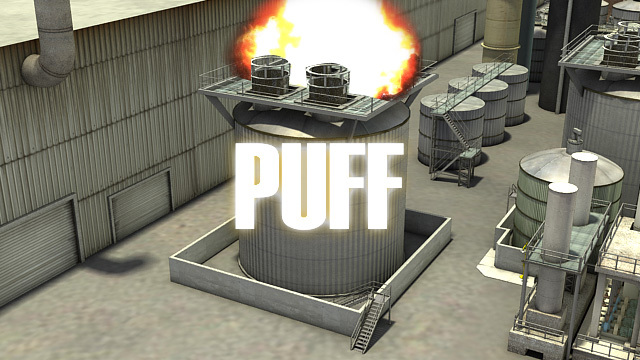 A puff is an explosion that occurs when chlorine dioxide gas decomposes. The severity is proportional to the concentration of chlorine dioxide gas in air. The reaction in the generator forms sodium sesquisulfate crystals. These crystals are pumped from the bottom of the generator to a rotary drum filter to remove water. Water is used on the filter to remove and recover reaction chemicals. The filtrate is returned to the generator, and sodium sulfate crystals are dissolved in hot water. 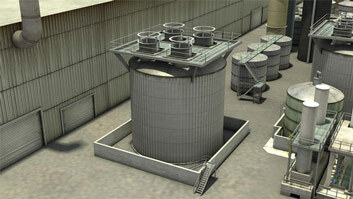 The salt cake can then be used in the pulp mill recovery system. 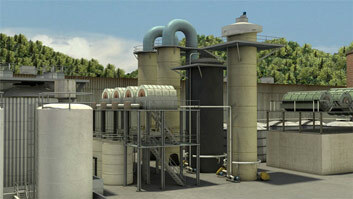 The R8 and SVP-Lite processes produce 40% less salt cake than the R3 and SVP processes.